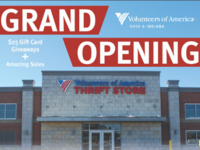 Volunteers of America is opening a brand new thrift store in Pickerington, Ohio on Friday, March 29, 2019. 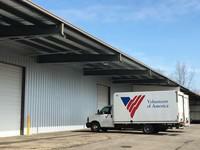 Volunteers of America of Greater Ohio and Indiana are merging together to become Volunteers of America Ohio & Indiana. Flying Ace Express Car Wash announced the donation of $1,695 to the Volunteers of America of Greater Ohio’s Operation Backpack Campaign. 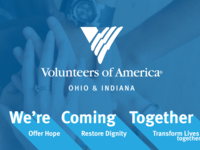 Evansville will have a new addiction treatment option for pregnant women and mothers with children when Volunteers of America Indiana opens Fresh Start Recovery Center early next year. 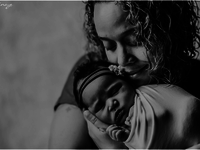 Columbus will have a new addiction treatment option for pregnant women and mothers with children when Volunteers of America Indiana opens Fresh Start Recovery Center by early 2019. Mothers and moms-to-be now have a residential drug-addiction treatment option in Winchester that allows them to keep children by their side while they recover. 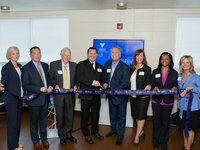 Public officials and members of the community on Wednesday toured Winchester House, Volunteers of America of Indiana’s new Fresh Start Recovery Center for mothers and their children. 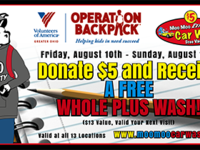 Moo Moo Express Car Wash will be collecting monetary donations at wash kiosks at all Central Ohio Moo locations Aug. 10-12 in support of Volunteers of America’s Operation Backpack campaign. With a $5 donation, customers will receive a coupon good for a FREE Whole Plus car wash during their next visit ($13 Value). Volunteers of America of Indiana, a free residential addiction treatment facility downtown, is helping moms recover and avoid being a part of that statistic. The program is funded by DCS. Last year, a tragic fire devastated Volunteers of America of Greater Ohio’s warehouse on West Broad Street where they stored donated items. Now they have rebuilt the warehouse and need help to fully recover from the loss.